We here in the lower Shenandoah Valley are all giddy as I write this, what with blue skies and predicted highs approaching 60 degrees today. The polar vortex–which I take to be either a weather phenomenon or a Star Wars villain–has departed at least for the time being. None of which has anything to do with my topic; I’m just excited about it! 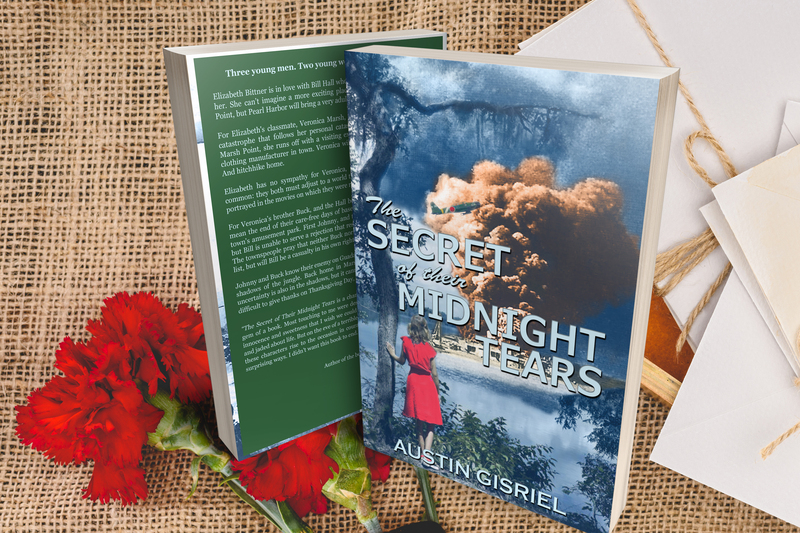 My topic actually concerns The Secret of Their Midnight Tears, which, if you have not noticed already, has a new cover, one created by Janell Robisch of Speculations Editing in Luray, VA. Janell also created the cover for The Boys We Knew. Remember, whether you’ve read it or you’re going to read it, positive reviews are always helpful. Now, leave your device and go out and enjoy some sunshine while we have it! This entry was posted in Writing and tagged The Boys We Knew, The Secret of Their Midninght Tears, Valentine's Day gifts, WWII fiction. Bookmark the permalink.